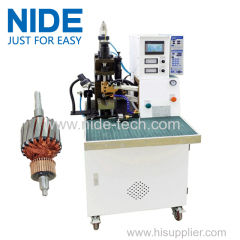 1.suitable for convex welding of auto dynamotor inner wind leaf. 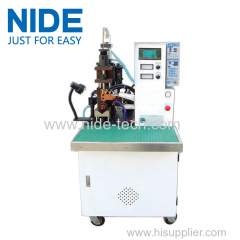 2.uses double heads welding device. 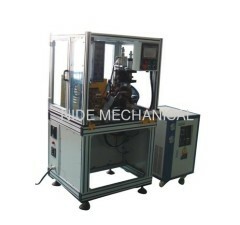 This welding machine is used to fuse commutator hook. The fusing time and hook number can all be set in the touch screen. 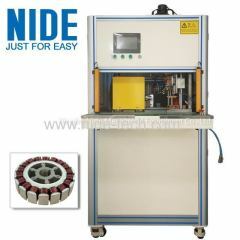 It adopts water cooling. 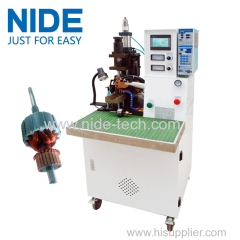 This commutator fusing machine is used to fuse the commutator hook. 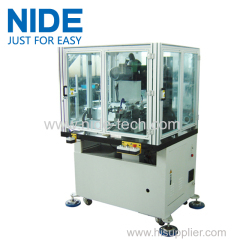 The fusing machine is controlled by PLC and touch screen. 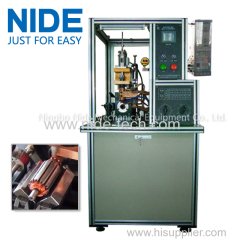 1.This fusing machine is used to weld commutator hooks. 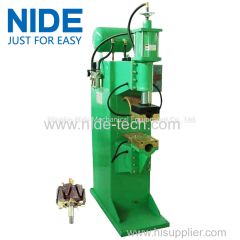 This commutator welding machine is used to fuse the commutator hook. 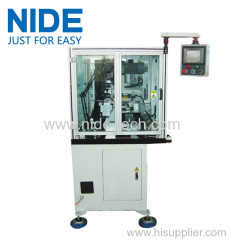 Machine is equipped with cooling system. 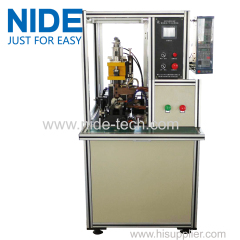 1.Equipped with Miyachi controller, could achieve self inspection for hooking fusing miss. 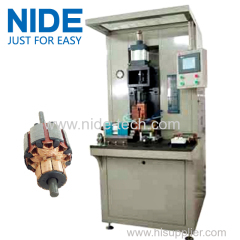 2.Tooling is easy to be changed. Auto indexing. 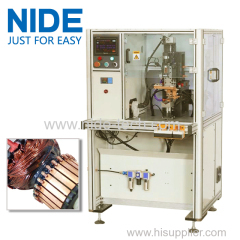 This type of commutator hot stacking machine adopts MIYACHI DC invert control power,Omron indexing servo motor, Omron remote controller. 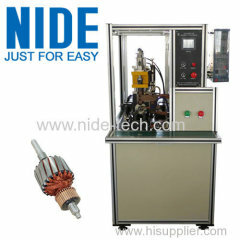 1.Used for fusing machine bar. 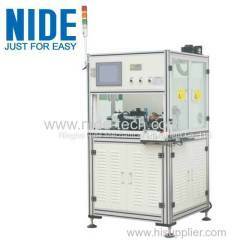 3.Equipped with Miyachi power source to ensure stable performance. 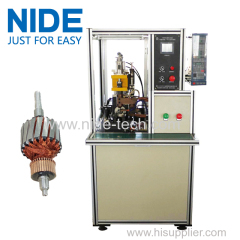 Group of Commutator fusing machine has been presented above, want more	Commutator fusing machine and Commutator welding machine, Please Contact Us.